Why would you open up and talk to someone who is trying to define you without knowing anything about you? Interviewing your characters is a powerful process that allows you to get out of the way and have your characters speak. We too often try to decide who we think/want our characters to be, think and feel. Consider this: why would you open up and talk to someone who is trying to define you without knowing anything about you first hand? Interviewing your characters can solve that problem! Remember, our characters are not us. We want to become our characters. Only then can we allow the characters to write the story. And once you do that, you are letting in the mystery and magic of fiction writing. The secret to the success of this process is being loose enough, inner critic-free enough, to go with the creative flow and let be born whatever or whoever will be born. You may or may not visualize the character’s physical presence absolutely—I never have a photo perfect picture of my characters; rather, sit quietly and feel yourself opening to the character’s presence, allow the character’s energy to rise up within you. Get a sense of the character as he or she appears. Sense the energy, hear the voice, let the interview take on a life of its own. If nothing comes to you right away, don’t push it. Instead, go for a walk, or while you’re doing some mindless task, or just before falling asleep, ask for a character to come forth. Take whatever comes. Don’t worry. Don’t second guess. Play with the character. Sense the energy. Alternately, begin to read the list and stop at the first one that creates a reaction -- good or bad -- inside of you. Then close your eyes and listen to your character speak. Then begin or write. Alternately, write down or type the question and invite your characters to speak. Notice that the first questions are non-invasive. You don't want to put the character in the hot seat right away! Have fun! 5. Are you in a good relationship to your spouse or lover? 6. Have you ever been unfaithful? 7. Has your partner ever been unfaithful? 8. What kinds of things make you angry? 9. How do you express that anger? 10. You’re in a scene with someone who is making you very angry. Why? What’s making you angry? 11. What memory does the scene bring up? 12. What memory does the memory bring up? 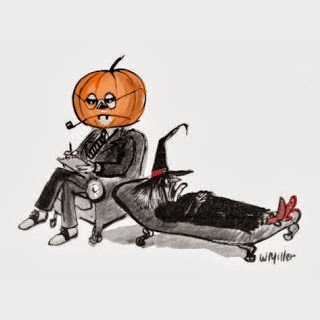 Would you like help in interviewing your characters? I have an 2 audio download set on interviewing. 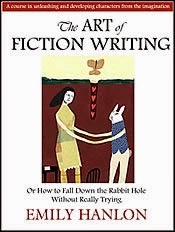 Order The Art of Fiction Writing or How to Fall Down the Rabbit Hole Without Really Trying, which contains an audio download with some 60 interviewing questions for your characters and you will also received the audio of my TeleSeleminar Interviewing Your Characters. On the TeleSeminar, you will listen to a writer having her character interview. Also explore my private session on Interviewing Your Characters. This session includes a free copy of The Art of Fiction Writing e-book. I want you to know that you have inspired me. I am going to interview my character, Sam, right now. I will do then interview on my blog called mystorywriting in wordpress...I will let you know how it works out. Feel free to comment.